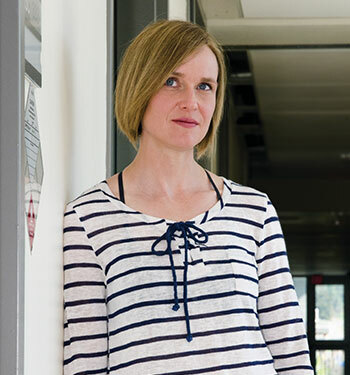 Associate Professor Miranda Hart, who teaches biology in the Irving K Barber School of Arts and Sciences, is an avid reader of two science publications—Nature and Science. Whether it’s unintended or not, Hart says there is a definite discrepancy in the representation of men over women in these two leading journals. Miranda Hart, associate professor of biology in the Irving K Barber School of Arts and Sciences.